Hey guys! This evening I'm doing my first proper book review on my blog. 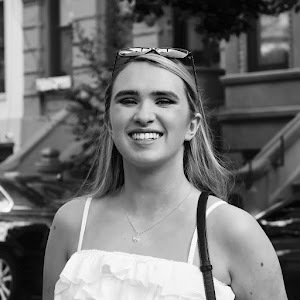 I'm going to review an overly-talked about book that you often see on other blogs and pretty Instagrams. This book, my friends, is the Fault In Our Stars. The story has a main theme of illness, so before you read the book, you should realize that reality will strike you. Cancer is a very serious topic, and Green captures the subject in an intelligent way. I kept forgetting about Hazel and Augustus' illnesses when I read the book. It shocked me. The comment's on the back of the cover describe the story well; insightful, bold, irreverent and raw. It is has an extremely powerful moral to the story, which I shalt not spoil. The characterization is magically strong, depicting the persona of Hazel Grace beautifully. Plus, I so badly want to meet Augustus. Haaaaaahhhh. Green's language is slightly complicated, including words that I have never met before like ambiguous, and I can't remember other vocabulary that clearly. I must read the book and underline, define and memorize some words he use; I want to increase my terminology for English essays. John Green's language is just so unique. The story line falls into place in this book. The imagery is simple but magnificent. 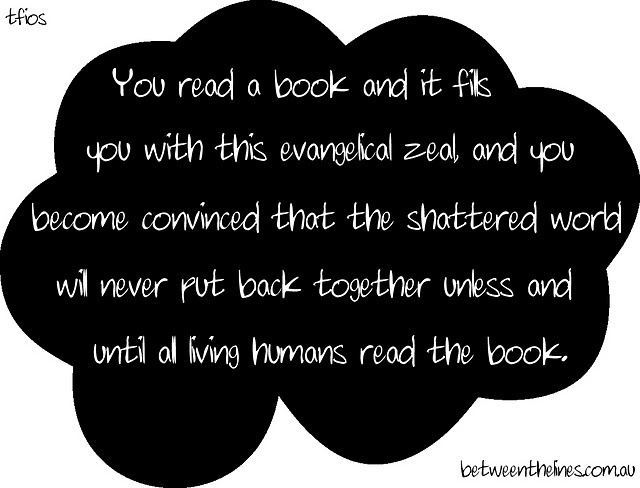 That is how Hazel felt with An Imperial Affliction, but this is exactly how I feel with The Fault In Our Stars! Before I sum up the review, I just gotta mention that TFIOS might be made into a movie in a few years. SQUEEEAL! Augustus BETTER be hot! After first page, you'll want to read more; I guarantee! The Fault in Our Stars is just magnificent. I rate it 10/10!!! I recommend it for people aged 13 and over (despite the quote...) because there are explicit scenes that even I shouldn't read, but oh well. You need to read this if you're a teen or adult! 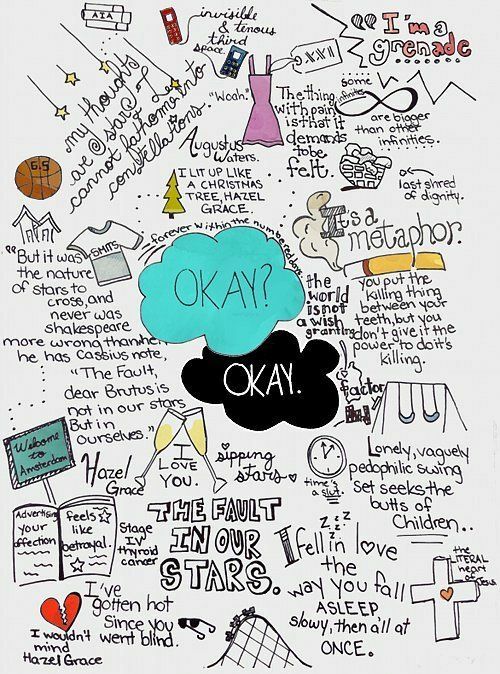 Now I shall leave you with a fantastic drawing of quotes from TFIOS. Please look and read it, it won't spoil anything, pinky promise. The quotes from the story are forever to remember. Yeah, you should, it's brilliant!